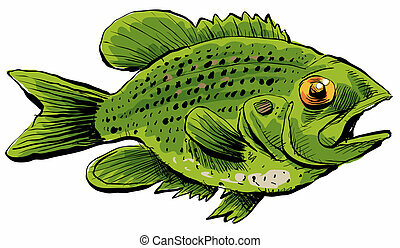 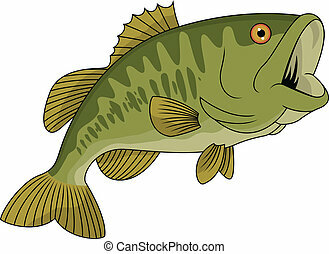 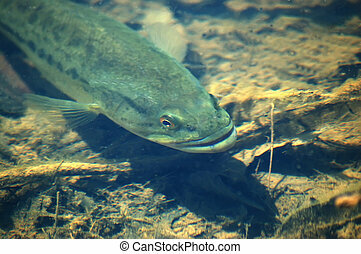 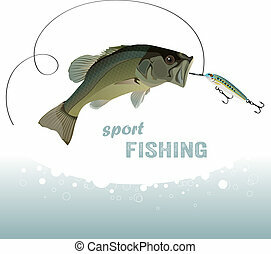 A cartoon of a Rock Bass fish. 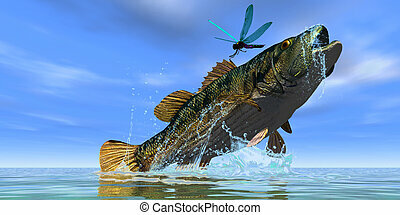 A beautiful Red Eye Bass jumps but just misses a colorful dragonfly. 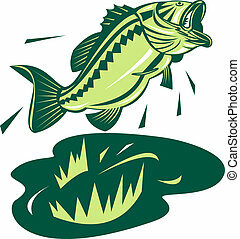 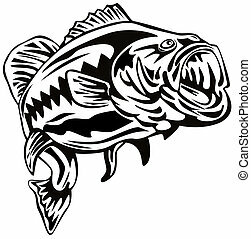 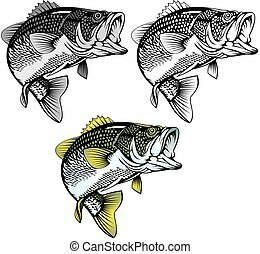 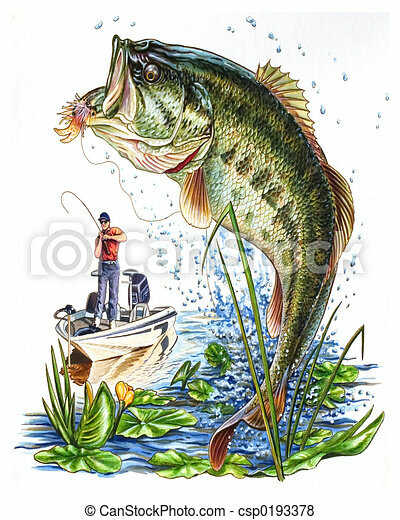 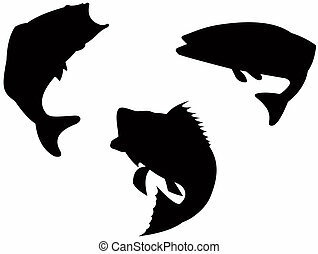 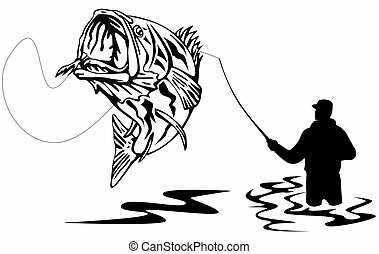 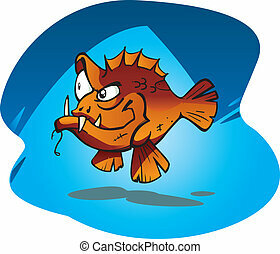 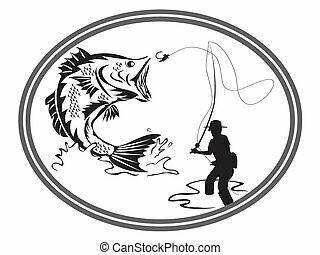 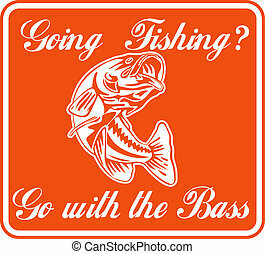 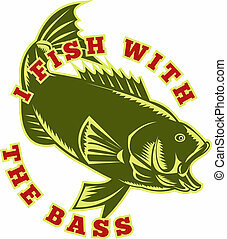 illustration of a largemouth bass jumping with words "going fishing go with the bass"
Cartoon vector illustration of the Sneaky Red bass. 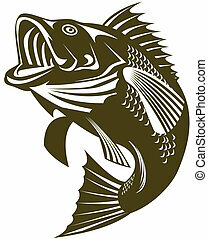 A large aggressive salt water fish from Australia.